This is the game which is really easy to play! But let me read more about its confusing rules! Last edited by atomtengeralattjaro on Sun Sep 09, 2018 1:26 pm, edited 1 time in total. Idika is a word in Greek and it means Especially. Welcome to ASDF, georgecraft . Thank you for joining it and for making a post in the Games section, and let us be friends, dear game-playing fellow. I do not agree with your statement, every game is difficult because it takes efforts. But if you are so good that you peceive it as easy - congratulations! This is amazing! In this game the next post should follow the theme and should start with the next letter. The previous one should start with H , so this one starts with I . Now please, edit your post with a foreign word starting with H to fit the game rules. They are described in the original post. I believe you will do it. I hope you understood the rules now. Yay, we have a new friend! I like you, georgecraft. Edit: I have just seen that Atometengeralattjaro has removed Georgecraft's signature. I had some hope that we had a new friend on ASDF. And this concept made me feel even better. But since Atomtengeralattjaro is sure that the new user is a spammer, he is right to do such a thing with him. Last edited by Ivokyuftaf6666 on Sun Sep 09, 2018 1:52 pm, edited 2 times in total. Kyufte (with emphasis on the last letter) is a word in Bulgarian, and it means "Meatball". Lager means camp, (or stock, or store) in German. Morski is an adjective in Bulgarian, and it means "Of the Sea". Omorfos is a word in Greek and it means Beautiful. Qui is a word in French and it means who. Syntagma is a word in Greek and it means Constitution. Sluntse is a word in Bulgarian and it means Sun. Takk means thank you in Norwegian, Icelandic and Faroese. Usmivka is a word in Bulgarian, and it means Smile. Víz means water in Hungarian. Watashi is a word in Japanese and it means "Me" / "I". 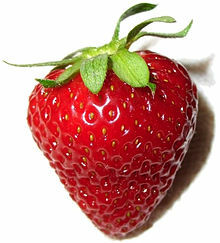 Yagoda is a word in Bulgarian, and it means Strawberry.